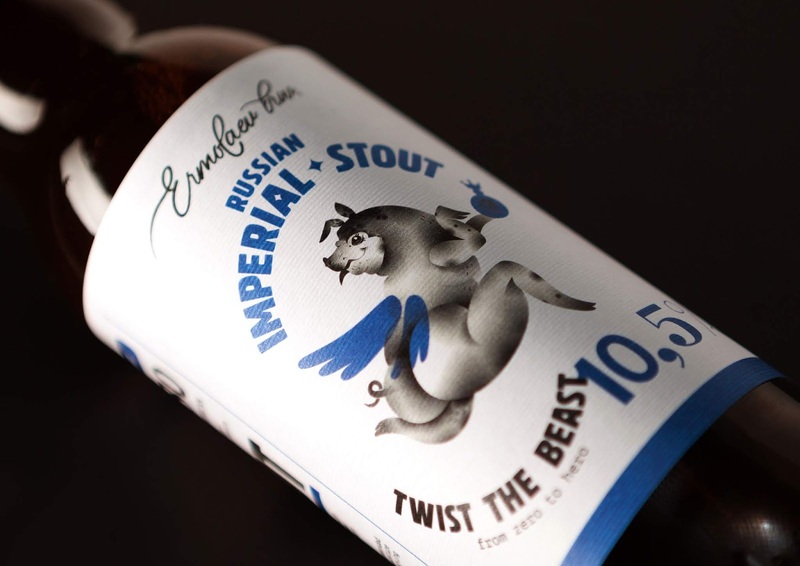 Since 2008 Ermolaev Brewery’s (Russian-based) brewing and releasing unique and fresh styles of beer: from dark and spicy stout to mild and amber-colored pilsner. 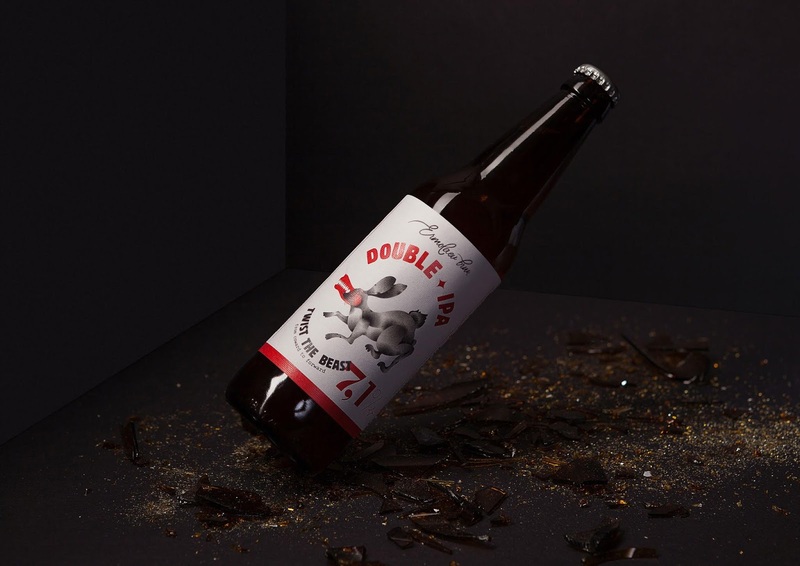 Moreover, the company is not just a manufacturer itself, but also well-known for its inspirational mission, like radiating and spreading the culture of drinking beer. Professional brewers from all over the world are taking control over the process: they cherish the beer like a real precious, sharing different unique recipes of brewing with the rest of the beerlovers. By the way, nice beer has to be eye-catching and decent, so here we go again. 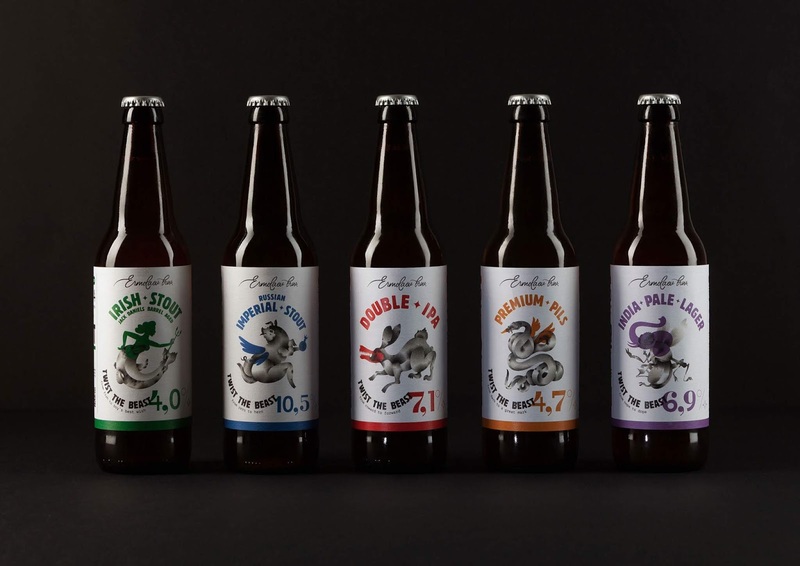 The agency was challenging to create new beer labels for the whole range, keeping in mind the idea of premium- and uncommon-style beer. If beer was a superhero, it’d have a power of a crush-testing relationships between people. ‘Unleashing-a-real-you’ level depends on a pint or two. So, the main idea was based on a ‘true you’ concept, when unchaining a solid image and behavior is more important, that a mask you’re putting on. Catchy phrases are building up the whole concept’s idea. 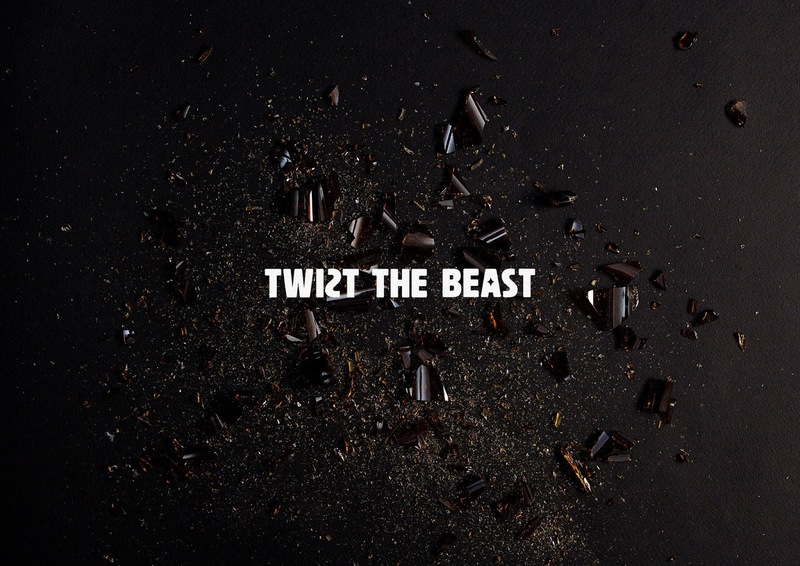 «Twist the beast» — it’s time to go big or go home. With a helping hand of sublines (which were created for each beer style), the range has full speed, not nothing. For example, ‘from zero to hero’ of Russian imperial stout is dedicated to a tiny pig, actual Simple Simon. Shot! — and who’s laughing now: here’s the same piggy, who’s willing to play some royal games. From rags to riches itself. No more words: please, welcome a complete range of characters and their alter-egos! All of the chosen images have two sides (of the same coin, though), the agency just needed to galvanize their identities in strong and sassy way. For example, the snakes are acclaimed as tricksters with a dark thoughts inside. But after a sip or two, even the serpent turns into an innocent swan. Same old stuff with a hare, who is infamous not as a brave and plucky one, but look at this coward now — what a courageous wolf he’d become! But everything is not as simple as it seems to be. We’re here to remind You, that booze and hard stuff are about responsibilities and knowing Your enemies. That’s why the characters have this disclaimer point, because with every pint You take, You’re one step closer to the edge: from party monster to a genuine one. Being real You is about honesty and dignity, and has nothing in common with a binge drinking. Strong and clear typo makes a perfect couple with black and white, but a bit thug and zine-style illustration. 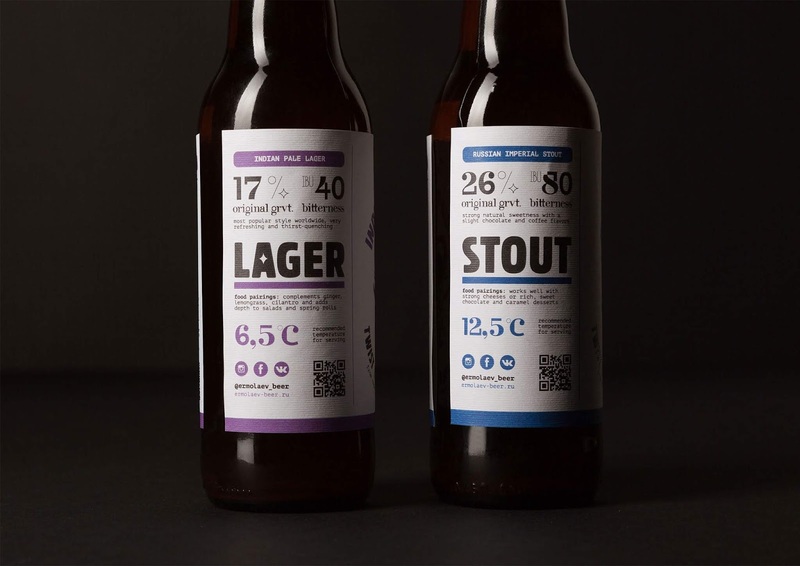 Infographics on the side of the bottle is summing up an information about beer styles. Each has its own color, which was chosen, according to special characteristics of beer. The yellow one is for pilsner, which’s claim to be the first light beer in the world. And the leprechaun’ green to celebrate the power of Irish stout — cheers and down the hatch!